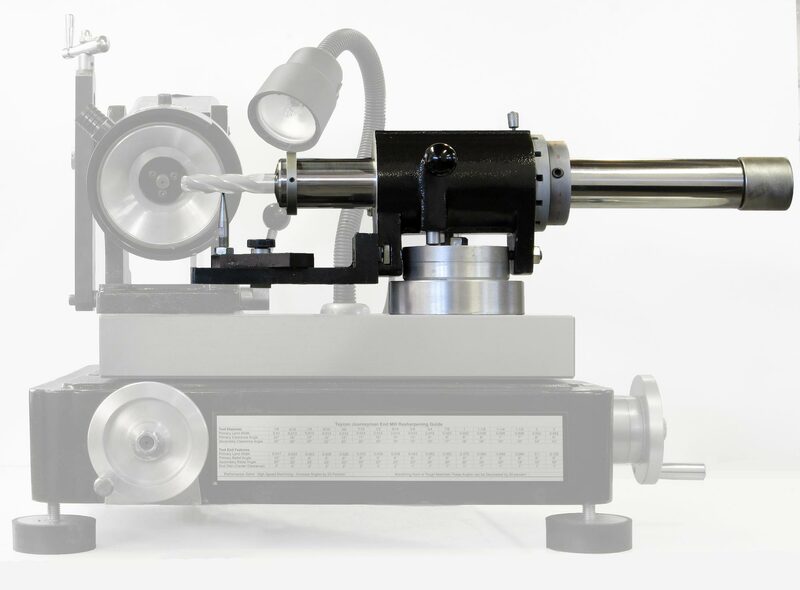 The CM-02 Air Spindle for CUTTERMASTER and CUTTERMASTER type machines including stylus, indexing collar and front ring. The CM-02A is a fluid air bearing that floats on a cushion of air when air is applied allowing the operator to create helical grinds, like the outside diameter of an end mill or router bit. It is an improvement over the original air bearing supplied with the CM-01 and MG-30 CUTTERMASTERs, in that the bushing is roller burnished and provides greater tolerance. To upgrade your existing CM-02A (if blocked airways or damage is hindering performance), you can purchase our CM-02A Upgrade (may be a preferable solution to a new complete CM-02A Air Bearing Assembly. The upgrade consists of the main spindle and upper spindle housing.